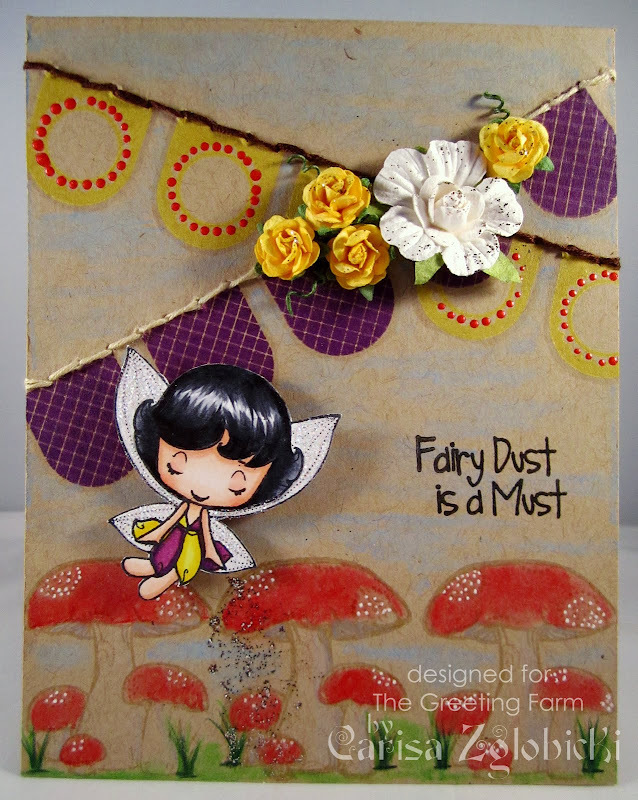 Inky Fairy Designs: Clearly a happy preview day at TGF!! I am back to fully reveal what may have been just a cloudy snippet yesterday... did you see through our little surprise or are you CLEARLY stumped? Before we go any further, these stamps are not replacing our rubber line. We are testing the waters to bring you some fun new designs, and most of all QUALITY stamps! To add to the fun, we also have the opportunity to bring you some RE-RELEASES, in addition to NEW releases and we are excited to get started with our first two sets! I couldn't resist - as soon as I got them I had to use them together on one card. 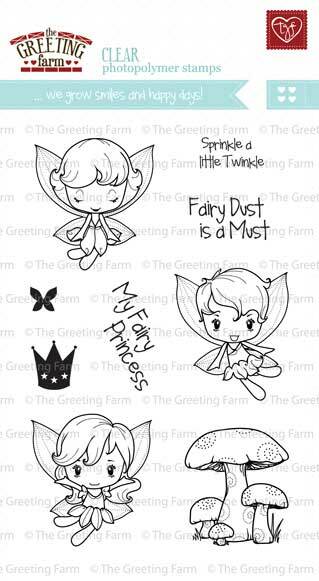 These fairies are so dear to my heart as they were one of the original TGF stamps I bought back when I first discovered TGF!!! And here they are being re-released as a clear stamp in a super cute set with all three plus sentiments!! And those banners....need I say more? I Just adore them as well. 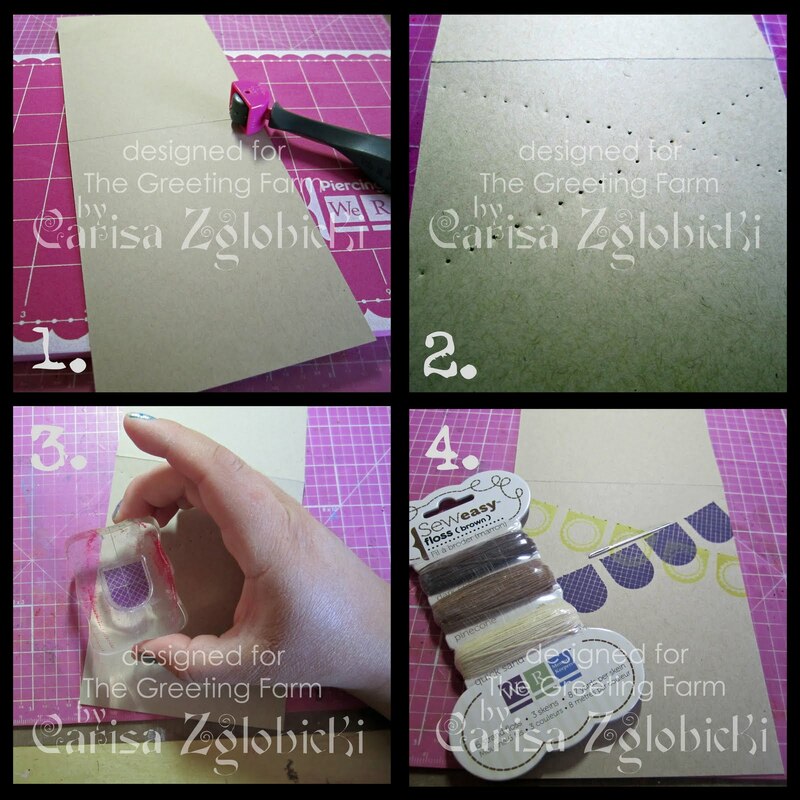 I used the sew easy to stitch across the cardstock and then because they are clear, I could line the stamp up exactly and then stitch right along the stamp. Gotta LOVE that! I took a couple pics to share just how easy it was! So, what do you think? Are you CLEARLY stunned or could you see RIGHT THROUGH our snippet yesterday? Anxious to try the new line? Well, be sure to leave a comment on the TGF BLOG to see who ELSE is previewing the FUN today...you'll see some familiar faces in addition to our Farmers and there's a SET OR TWO UP FOR GRABS there, too! See you tomorrow for the official release of our first two CLEAR stamp sets, Bantastic and Fairy Princess. Thanks for stopping by! Thanks for the tip on using the sew-easy! 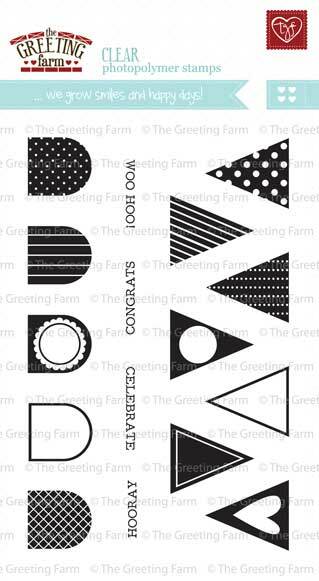 I'm lovin' that you used both the bantastic and fairy sets on your card...which is awesome BTW!!! Can't wait to see what you com up with tomorrow! Love this Carisa. Your scene is amazing. Love how you stamped the mushrooms all the way across the bottom. Beautiful!! How adorable! Love this card. Great mushrooms and the flowers are the perfect embelishment. Hope your move went well.